I am issuing a challenge. To all guildies. 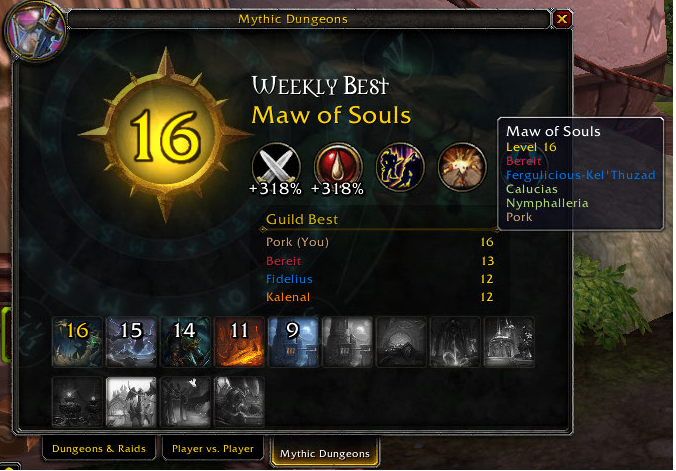 I want to encourage more pushing of higher level mythics and mythic in general so here it is. The highest stone pushed by a guild group in a week will get all the guildies of that group gold. 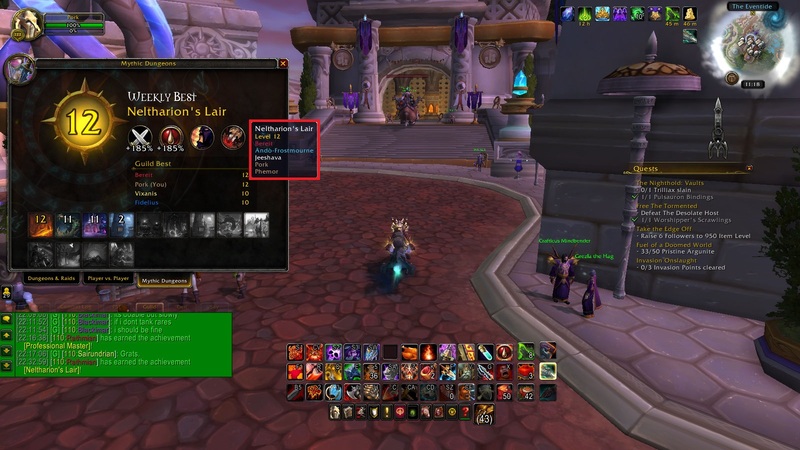 If the Stone is a +20 or higher and all members are guildies, everyone gets 35k gold apiece. If 4 out of 5 are guildies you get 20k a peice, less than 4 guildies it doesnt count. A winning stone of +10 through 14 awards 10k gold, 7k if 4 guildies. Winning stone will be judged Mondays when i can get on in the evening. It wont happen before 10 eastern but can happy anytime after that. Good luck all and Good hunting get my gold. If you were able to stay, Fero - it would have been a full 5 group!!! 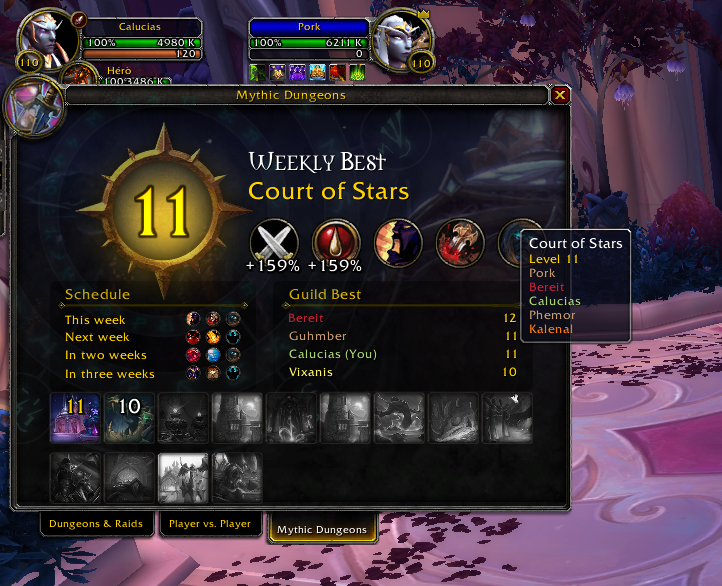 Not sure how you're going to judge these now considering one top weekly best was w/ 5 guildies, but the +12 is only with 4 guildies. Consume at least one serving of Cotton Candy a week. Get a meal from KFC on 2 month basis. Showers are a necessity to keeping a clear mind, and fresh body during raiding. 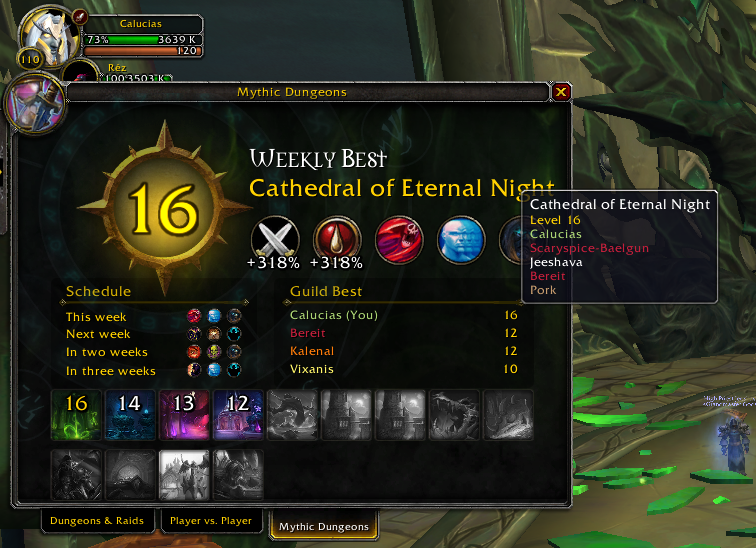 for the record the highest difficulty wins as long as its at least 4 guildies. sorry for no action on this i promise it will come soon. Finally one other note i did make an error in my original post so this only affects for weeks after this post. a +10 doesnt count it has to be higher than that. posting these for a week in case anyone has any objections or questions about them. Gold will go out next Saturday. First anyone have a screen shot from the week of Oct 3-10? We don't seem to have that posted anywhere. gold has been disbursed except for nymphys, that will wait until she returns to game. Thank you all. I intend to put up another contest in May.